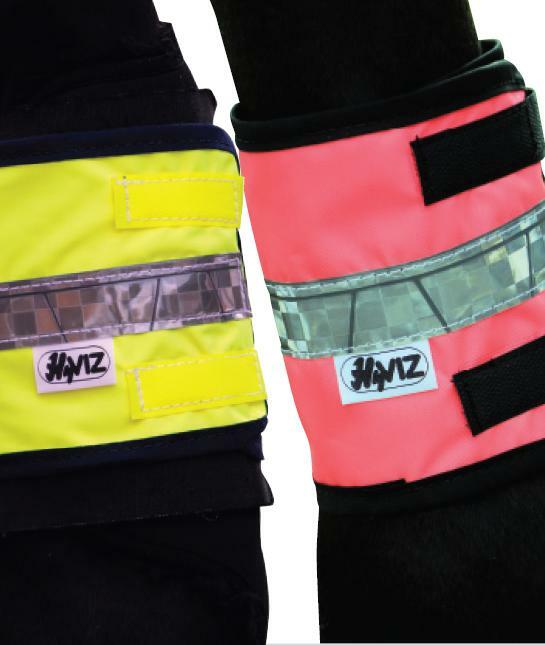 Hy VIZ Leg Bands fit neatly around the horse’s leg or over their boots. Fluorescent with silver retro-reflective tape for style and safety. These hi vis durable leg bands have a mesh inner lining to prevent the horse getting hot, and fasten with two strong velcro straps. Machine washable at 40ºC. All year round visibility. 1 pair per pack. There are currently no questions for HyVIZ Reflective Leg Bands - be the first to ask one!